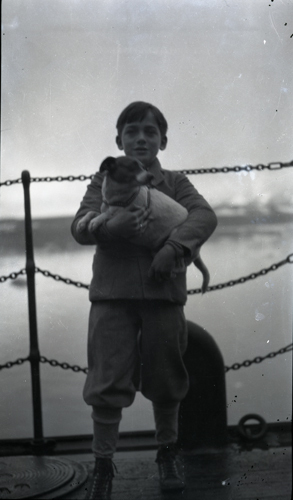 This is a black and white film negative of Eckert holding a dog aboard a ship or on a dock. Behind him is a three chain link guard. Light is coming from the sky. Written in pencil on small white round label on original protective sleeve is "1086-11"